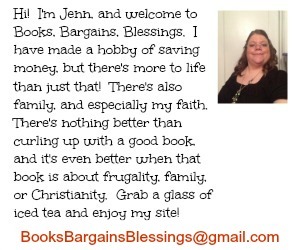 Books, Bargains, Blessings: And the cleanout begins. . .
And the cleanout begins. . . I wrote a blog post last week about how I am quitting selling on eBay. I contacted someone who sells and he is going to sell some of the stuff I have left. Much of it will be going in a garage sale as some of it was bought back when stuff sold better. For instance, I found a cake pan that used to sell for about $15 a few years ago, now it doesn't even get a $3 bid. So, that's in the garage sale pile. I am using the stopwatch function on my new iPod to see how long it takes me to get this room cleaned out. I've worked on it only about 3 1/2 hours so far, and have gotten so much out it's unreal. There were three bags of trash (each a 30 gallon bag), and a 30 gallon trash bag full of recycled packing materials I'll take to the man who is going to sell for me. I've found interesting stuff both to sell and of my own. I found a winter hat I wondered what happened to it. I found my handheld GPS for geocaching I've been looking for it for a while. I decided I need to get rid of a lot of stuff, and recently we had company and I had to get a bedroom "guest worthy". Cleaning that room out took a long time because I was emotionally attached to so many of the objects in that room. But with my eBay room, most everything was brought in for resell, so there is no sentimentality on the objects. I'll be glad to reclaim this room. Seems like over the last few years the entire upstairs became a "junk room" and I'm out to change that. I didn't do an work in this room today because we had to much trash because of my three bags out of that room and Christmas I thought it would be pushing our luck to set out so many trash bags!